I have heard from several of my girlfriends how cool they think it is that I am going away on my own. More than one has called it brave. That’s pretty cool. The majority of the feedback has been about eating alone which seems to be a real fear for some people. I have done it many times but I stated to think about it then over think it. 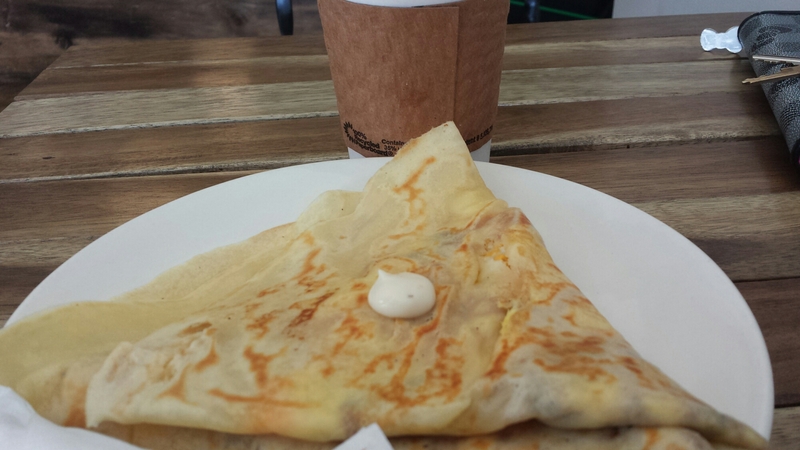 So this morning I am doing a test… breakfast by myself at the Creperie. I had a lovely chat with the girl who took my order about what is more terrifying scuba diving or sky diving (it was a tip cup thing). I sat in a nice sunny central location where I could people watch. And I sat for a good while enjoying my coffee and breakfast and no one seemed to notice that I was alone. No one noticed me at all except when my phone dinged loudly because my my ringer volume is set to max (it’s my on call week, don’t judge). It was a perfect lovely morning, not scary or uncomfortable at all. I actually think everyone should go out on their own. Take yourself on a date, spend some time with your thoughts after all you are a pretty cool person! I tried a new recipe tonight that was so easy and so delicious. 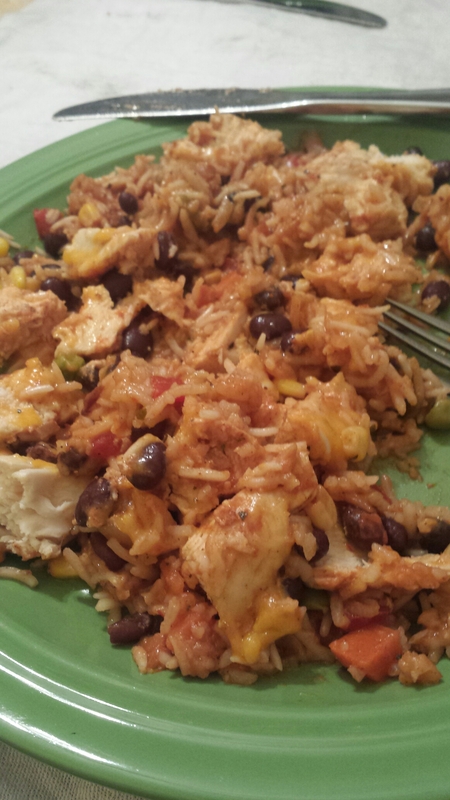 Rice, chicken, black beans, corn & salsa all baked together then topped with cheese. I think this might become a regular feature at our table. I love it when something new turns out so well!